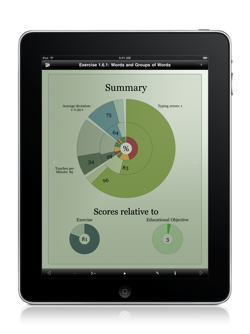 Browse from page to page like in a book • Guided, free, and full text exercises • Redesigned lessons for iPad-keyboard following didactical rules • Color-coded graphic for finger guiding in each exercise • Analysis of typing errors, speed, and rhythm • Cancel, repeat, suspend, resume every exercise at any time • Recording of all results • Proof reading of Free Practices for typos • Choose topical text patterns from the integrated web browser • Choose between 5 fonts • For both beginners and experienced writers • Improve your typing skills for daily writing! 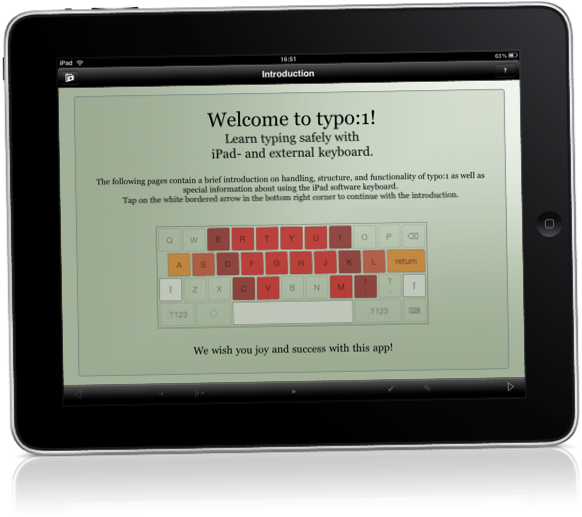 Learn typing safely with iPad- und external keyboard. 2 Courses. 2 Languages. 1 App.